Ahhh, the cover was so promising. 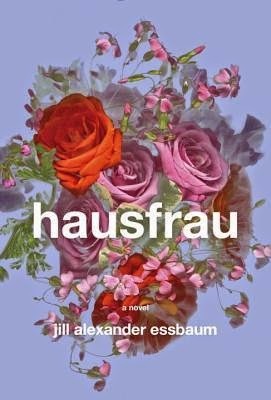 Hausfrau, by Jill Alexander Essbaum, was decidedly well written, but it ended up just being sort of "meh" for me. 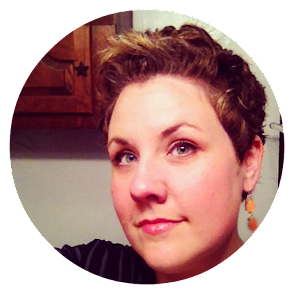 Anna is an American living with her husband and three children in his native Switzerland. She has a nice life, by all accounts, but she's bored, unhappy, and generally a psychological mess. The story bounces around in time...flashbacks to a relationship she views through rose-colored glasses, the imperfections of her married life, and her sessions with a psychoanalyst. Anna tries to staunch her loneliness with affairs and distractions, but it's just not working. I was genuinely interested in a "protagonist" I didn't care for and generally wanted to slap. I was touched emotionally by Anna's relationship with her children. The writing, overall, was quite nice, and I enjoyed the atmospheric setting. I got bored during certain stretches of the book...namely the first 100 pages or so as the conflicts were being set up. I think the author was going for some sort of surprising, high-impact ending, but I saw it coming, so it fell a little flat for me. If the premise sounds interesting to you, certainly give this one a try. It wasn't a wasted time reading as I rated it three of five stars on Goodreads, but it didn't blow me away as I'd hoped it would. Can't win 'em all! 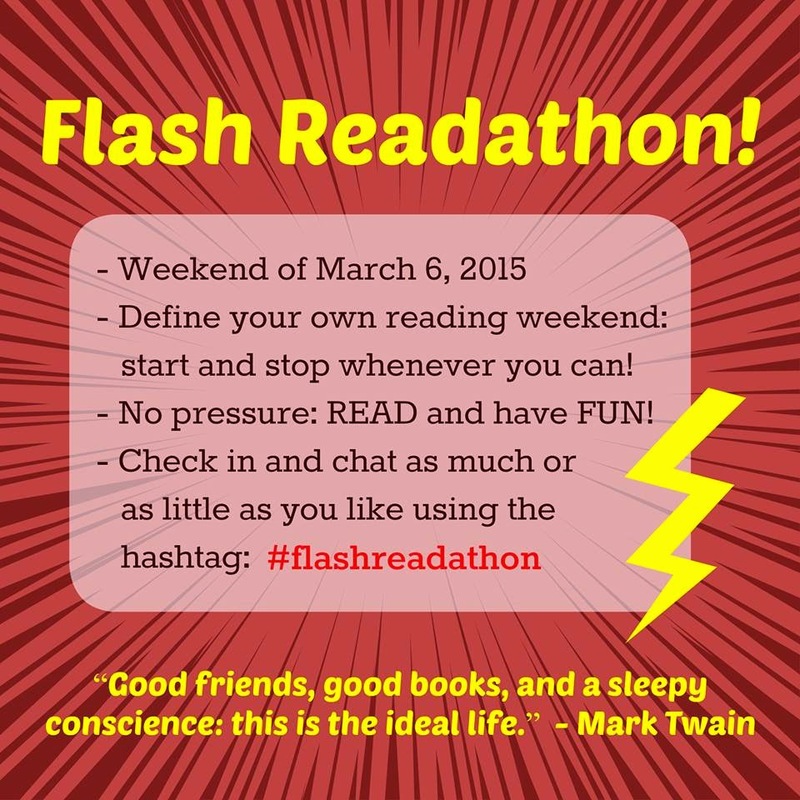 I read this book during the #flashreadathon. Huh, too bad. I personally could imagine getting into it for the expat situation aspect, but from your review, I'm going to lean towards "skip this one." The expat portion of it was one of the most interesting parts. Anna was very separated culturally from everything around her, which intensified her loneliness. I was on the fence about this one and then heard great reviews. Now this. Hmm. I'm still going to read it. As an expat i do like reading about expat lives, but I can't help but think this will pale compared to Chris Pavone's The Expats. I've definitely seen more great reviews than "meh" reviews like mine. I do wonder if my recent slumpiness made me like this one less? I love reading about expats, and I did enjoy that part of this book, but it still didn't shine the way I'd hoped. Yeahhh, and maybe it wasn't supposed to be? I dunno. I'm tiring of these "women who may be crazy come to strange conclusions" books. It seems like a trend on the uptick. I thought is was a pretty predictable story, but I was captivated by Anna (who I disliked) and the writing (it was fantastic!). I just really enjoyed this book and consider it one of my favorite reads of 2015. I was surprised I liked it so much, because I'm usually pretty "meh" about the IT books everyone is always raving about - I guess this time I liked the kool-aid :) Sorry you didn't enjoy it though. Hopefully your next read will be a great one. It really was fantastic writing, and as mentioned in earlier comments, I do like expat stories a good deal. I think those were the things that kept me reading when it felt slow. I'm glad this one worked for you!!! Right now I'm onto something lighter, which is what I need since I'm suffering quite a bit of brain drain. Landline, by Rainbow Rowell! Interesting thoughts! This has been a highly anticipated book for me, and I still think I'm going to read this. I always enjoy good writing, so I anticipate I will still like it, even if it's not a 5 star read. You should definitely still read it! I think it will work nicely for most people. Moreso than anything this may have been an "off" time for me to read it. Moods can kill great books for me. I've read one terrific review of this and the others have all been meh like you. I'll still probably read this but I won't be in a hurry to get to it. As I was reading your post I got the notification that I was approved for it at NG. Reading your review (indeed the first one I see that is not only full of praise) I'm even more intrigued as to what my experience with the book. I can't wait to find out what you think of it! Hopefully it works a bit better for ya. Though I'd say it's pretty tough to make readers like a character like Anna, so good on her? I hadn't seen any official mention of a Madame Bovary connection, but it definitely reads like a re-do. I'm definitely a bigger fan of MB. Looooved that book. I like your post title! I've got this one coming up soon and the expectations have definitely been set high, which is not always such a good thing. So, I'm actually happy to read your review and temper them a bit. Thank ya! I hope the book works for you! I've pre-ordered this one on Audible, as my favorite narrator is reading it. I'm curious how that experience will compare. I was talking with Candace from Beth Fish Reads about that this morning on Twitter. I think it would've shined a bit brighter on audio. I just downloaded this book to my Kindle after hearing a ton of raves, and your "meh" review makes me even more curious! I kinda get what you're saying - I liked it and it kept me interested, but I was disappointed there wasn't more to it. It felt like a story I have read before. All this, even though I really did like it! Interesting. I've been slumping big time, started this a couple of weeks ago, and just couldn't get into it. I set it aside, chalked it up to my mood, and plan to try again in a month or two. I've seen only rave reviews, so your post definitely tempers my expectations... always a good thing. I saw the ending comin too. So much with the foreshadowing. Bummer that this one didn't work—I hate getting bored in the middle of a book! Pretty sure I already know what the ending is because I've seen some other blogs make comparisons between it and other books. I'm curious to see how Essbaum handled those devices, so this is getting marked as a "maybe someday." But the cover is so pretty! To be honest I'm a little relieved it was meh. The premise didn't grab me but it felt like one of those books I really should read. I think now I can skip it with a clear conscience! Or at least just put it towards the bottom of the stack. I've been seeing reviews of this book around. It's not really my cup of tea to begin with, though. Hmmm. I just snagged this yesterday, but between your lukewarm reaction and JoAnn's failure to get interested (plus other "meh" reviews), I think I'll put this one back on the ARC shelf at work. Life is too short! Hmm...getting so many vibes from both sides with this book, which makes it a mystery. If it comes across my path I will likely read it to see where I stand. For some reason, I am drawn to books that center around domestic boredom. That is what I call it. I bet I'd like this one. This is exactly how I felt with We Were Liars. I saw the "huge twist" coming a mile away. At least the writing was pretty good so I still liked it fairly well. But it really stinks when the whole book hangs on the premise of a twist because if you figure it out early it messes up the whole book. I’m probably shooting myself in the foot here, but I think I would feel meh about this book, too, namely because it’s not one that jumps out and grabs me with the synopsis. Sorry it wasn’t as great as you hoped. I was worried that hearing that you found this one just meh would make me reluctant to pick up my copy, but I think I could end up liking it better than you did. I really like a book that can me make interested in a protagonist I don't like and although I think I'd share most of your opinions about the book, I think the good might outweigh the bad for me. I didn't read the premise or anything before jumping into this one, and I think I'm glad about that. I ended up loving this one so much. A lot of it was the writing, but mostly, I just thought it was a shattering look at long-term clinical depression. I am SO ANXIOUS about reading this book. It's been so polarizing in the bookternet community! Luckily, I won it in a giveaway so there will potentially be no money lost on this one. I can generally forgive issues with plot/character when the prose is amazing, but it does sound like it could be boring, which might kill it. I guess we'll seeee. I found your book blog post about the book Hausfrau and read that you like expat stories soI wondered whether you would be interested in my book "Living in Italy: the Real Deal". The book contains sixty short stories about my adventures as a Dutch expat who moved to Italy in 2008 to start a bed and breakfast. It is the translation of the Dutch original that met with considerable success (sold 3000 copies) and had very positive readers' reviews. Stef Smulders was born in The Netherlands in 1960 and moved with husband Nico and their dog to Italy in 2008 to start bed-and-breakfast Villa I Due Padroni in the beautiful wine region Oltrepò Pavese south of Milan. In 2014 he published his first volume of short, anecdotical stories (in Dutch) about daily life among the Italians entitled "Italiaanse Toestanden". It was well received by readers, leading to a second volume of witty anecdotes. A third volume is to be published spring 2017. I could send you the epub, Kindle file or pdf if you want to.